For those of you who don’t know, Ben Smith is running 401 consecutive Marathons to raise funds and awareness for anti-bullying charities. Please do have a look at his website, like the Facebook page, buy the T-shirt/long sleeve, send a donation etc. Invited by Barrow Runners, we Stilton Striders (Rob Beers and Kaye Mead, and later Katie Hateley) joined by Sileby Running Club and Poplar Running Club members to join Ben on Marathon day 121, the Loughborough leg. For someone who doesn’t see themselves as a great runner and must have some fatigue Ben is a truly humble and affable guy, happy to answer any questions, promoting his cause in a positive not pushy way , meets and greets everyone and gives them a token of thanks, and more than happy to have selfies and photos taken with him. He does have a great touring vehicle but no support: so no medics, no physios, no camera crew, it `s pretty much all Ben and the various bits of kindness he gets from local clubs. Today is very grey overhead, the odd spot of rain in the air and it’s very blustery in fact gale force winds, we start the event at 9:30 with the group running into a massive headwind towards Woodhouse village. Absolutely no onus on pace or anything its one big friendly group, Old Woodhouse leads us to Woodhouse Eaves and the climb up Maplewell Road. The pace was below 10 min mile and a couple had dropped back thinking we`d be closer to 11m/m and I decided to stay with Kaye although we weren’t far behind. I thought the course would have us going towards Swithland but we just kept ascending up Maplewell Road getting higher and higher ascent until we got to Hunts Hill car park. Team Stilton called it a day at 5 miles, the group were running all kinds of distances but they gave us a good friendly send off and we took photos of them running off towards Newtown Linford. Have to say a massive thank you to Barrow Runners for inviting us and the other clubs to be part of the event, they were very inclusive in making everyone welcome. So 5 miles back going the same way would’ve been boring so went the Rob route, have to say a massive well done to Kaye who ran all the way to the top of Old John in Bradgate Park without stopping, naturally a selfie was took at the summit. Nice easy run back through Bradgate and Woodhouse Golf course back to the Manor Pub (Which wasn’t open! 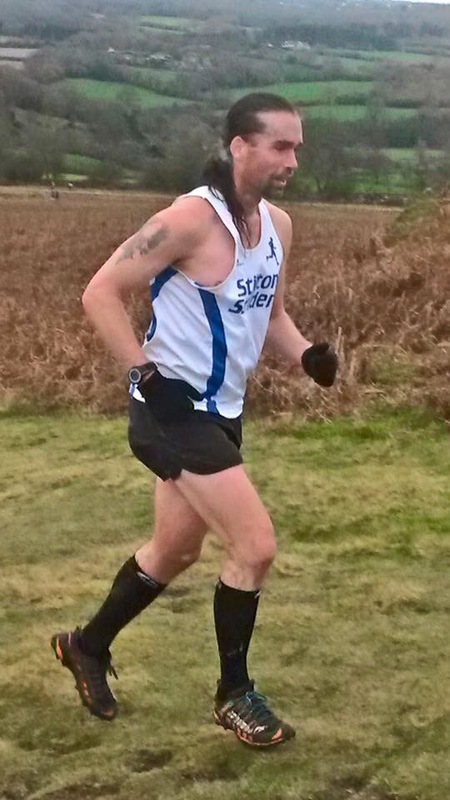 ), very pleased to have represented Striders(in kit!) and made new friends being part of the 401 challenge (Which with today has now topped 2,000 people running with Ben). Special mention to Katie Hateley who joined the Marathon en route and I’m guessing ran the second leg from Barrow? This Xmas cracker has been going since something like 1982 and I’ve done this every year since I’ve been involved with running. Boxing day every year, run a course approximately 6.17 miles on road in which a good 60-70% are doing it in fancy dress and probably the same number are doing it with hangovers. The idea of the event is that all runners finish together, so really there is no winner of the race so to speak; every runner is given a handicap and sets off at minute intervals according to speed (or pleasure!) thus the slowest runners set off at 10:50 and so on all the way down to 11:30. Bit of a political niggle here is how the course has been changed over the years due to local councils thus why the current Barrow 6 course is now exactly the same as this. Similarly I was informed Barrow Runners were made to pay for hire per room from the school, given what local running clubs do for the community, sports participation levels, local prestige etc it’s a rather bad trend we are seeing in running and about time it went the other way, don’t you think ? So as the race begins at 10:50 we are treated to a compendium of costumes Spiderman, Village People, Xmas Tree`s, Bavarians, American Football players, even Jesus! I`m the only Stilton Strider today although John Hudson is wearing neutral colours and Kaye Mead is here supporting, I had taken the safe option handicap wise until I realized I was being supported! Oh Dear means I have to try a bit harder. So set off with a group of runners I knew very well but within the first hundred metres I kick on, soon catching the next group ahead within the first mile. Due to the nature of the course which by the way I absolutely hate, you always wonder about going off to hard , I thankfully don’t have much trouble with that long hill on the way out of Barrow. 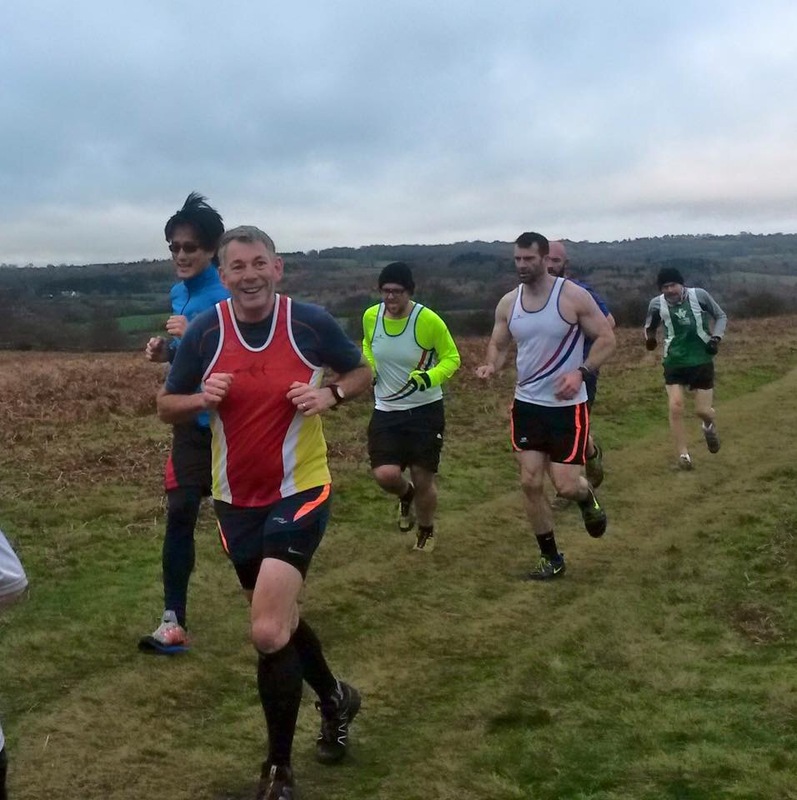 This loveable pre-Xmas event returns, sadly a large price increase this year with less in the way of goodies to show for it – however it remains one of the best XC jaunts in Leicestershire and rightly so! Ever the opportunists the Stilton Crew mobbed the Melton Times cameraman for a bit of extra marketing! Five Stilton Striders today, a bit envious of the numbers Wreake and Roadhoggs always put out at this one, going to give a cheeky mention to the ladies of Melton Running Club giving this a go! 11:00 marks the race start, for those who know it tis a fast downhill one followed by a few uphill fields in which you can’t wait for the stiles to come as you’ve set off like a scorched cat and blowing a bit. Those who have done this and remember the Dew pond, well it’s still wet I can tell you and it’s still a bit stinky. 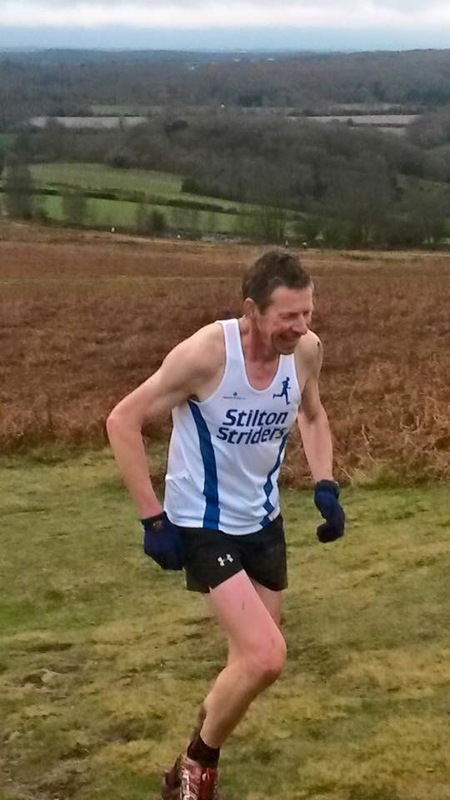 I don’t seem to be doing that bad when my lung recuperation kick in and surprisingly not too far away from Roadhoggs impressive Nick Cobley and Barrow`s Alex Toll which may mean I’ve gone off too fast or perhaps not when I’m still within reach at three miles. Although those two kick on greatly out of my reach my main goal is fending off a former coaching partner and impressive runner Nick Hando of Wymeswold which I successfully do, although my falling face first in the stream wasn’t the most dignified part of the race I can tell you. The last field with all its bumps and ups and downs never feels good to me, some fly across it looking like Usain Bolt certainly feels better on the watching side. Special mention to Poplar Runners who had many going round en masse in gentle style hurling mud at each other and rubbing it on each other, hilarious! As Christmas comes into sight, so does the annual Turkey Trot half marathon. With a number of Striders entering the fast to sell out event a few months ago, illness and injuries meant many places were being transferred to willing and able participants. In the end, seven Striders made their way to the start line and produced some great runs over the hilly 13.1 miles of South Notts. Matt Gayton was first home (1.32.21 PB), shortly followed by Jenni Wisher (1.37.31 PB), Wayne Hackett (1.42.39), Jon Wilson (1.45.40 PB), Lou Houghton (1.47.39), Debs Wilson (2.04.59) and Stuart Gregory (2.24.20). Neil Jaggard travelled to Walsall and took part in the 5 mile race (there is also a 10 mile option), pleased with a 37.58 finish. The third race in the Derby Runner XC league, again although a slightly different route more a one lap course than the one small/one big lap it did last time. A huge crowd on hand again and they changed it round with the car parking so that Newton Linford wasn’t gridlocked like last year, we actually got a very decent parking space at the Old John car park so didn’t have to get the club tent out(!). A mere three grizzled Stilton Striders represented the veined cheese today, Rob Beers, Greg Pettingill (Who knows every contour of the area) and Steve Dewick. I missed the juniors race whilst doing a warm up (up Old John!) with Greg only to come back and somehow develop cramp in both calves ten mins before the race started, no idea why they locked up could hardly move at the time, not ideal race prep. Anyway we lined up elbows at the ready heading from the Old John gates heading towards Newton Linford before jutting left, Greg had got ahead in the opening elbow flaying contest and believe me it’s not fun trying to make headway in that to try and keep with him. Seem to be running well but put far too much into trying to catch Greg quickly rather than over a mile and this was detrimental to my race given the undulation of the race. So I shift past Greg only for him to go past me half a mile later and remain just in front of me throughout the rest of the race. The ladies go off ten mins after us and we see them on the horizon, it’s a nice touch, I know it doesn’t happen at all the Derby Runner races but its nice shouting them in at the end. Legs don’t feel so great today maybe suffering from Fridays Stilton Bash! The pull up from Newton Linford to the war memorial has many grown men reduced to a walk; Dave Mann does a fiendish job with these courses. Take nothing off the Gregmeister, he is a wily fox with this area and looks very strong in the last mile (Although he said he wasn’t) and comes home first strider. I follow Greg home 19 seconds later (tell me a year ago I’d be 19 seconds behind Lord Pettingill on his own estate and I’d have laughed), very tough but enjoyable. 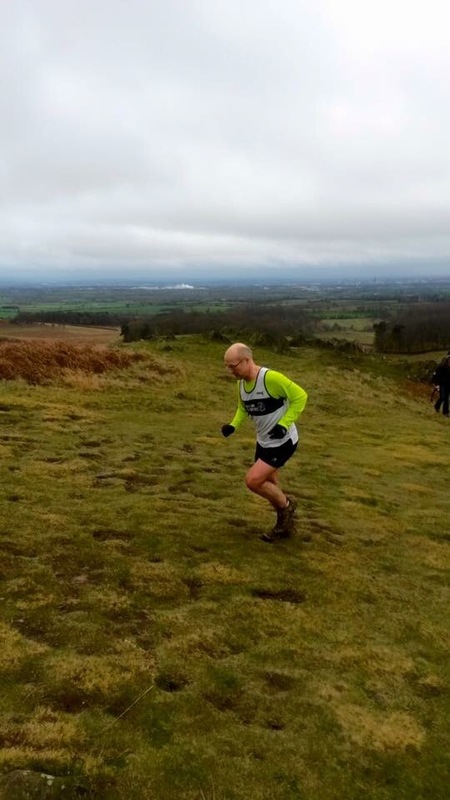 Stuart Gregory was the only Strider to make is way to the final race in the series on a very cloudy and windy Chesterfield day. As the race got underway Stuart manage to keep with the main group of runners before settling into a steady pace on the second of four laps, as Stuart entered the final few laps it was clear that any time under 30 minutes would be a hard ask, he crossed the finish line to recorded one of his worst 5km times of the year in 30:25.